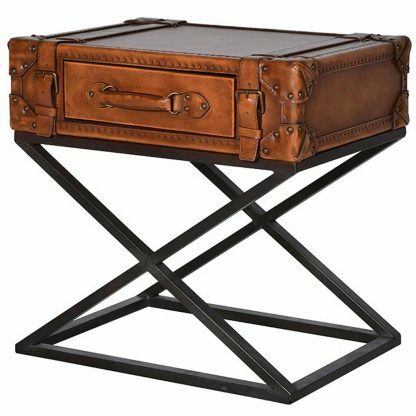 A luxury real leather occasional table in a suitcase style sitting on a metal X-frame stand. 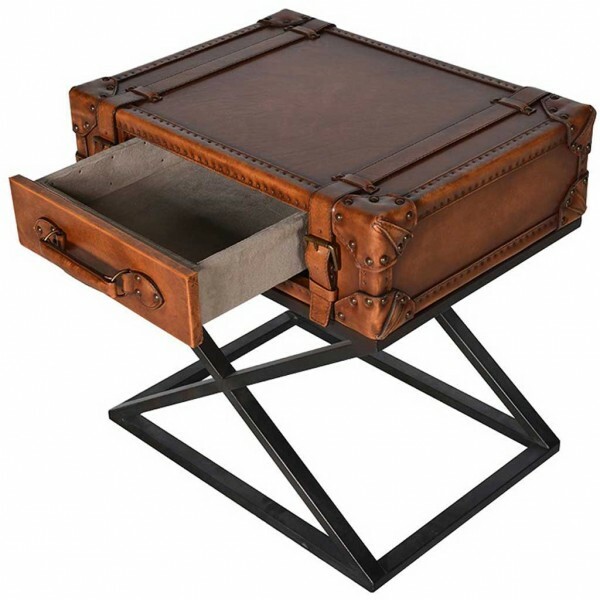 It has one central drawer with a leather strap handle and decorative studs, straps and corner pads. 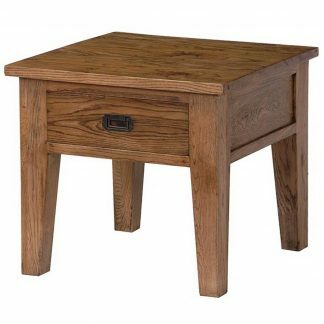 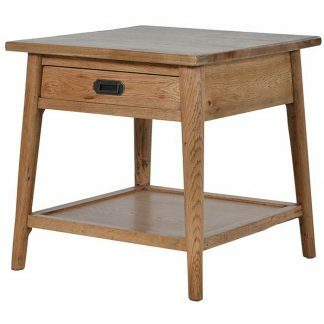 This is creatively unique and versatile side table that can adapt to many locations around the home. 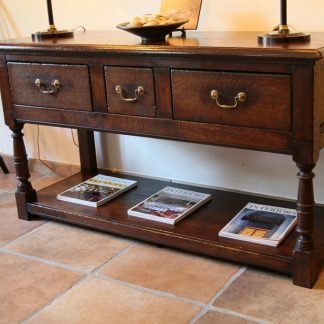 A real classic piece that would add style to any room.